Episode 25: The Umbrellas of Cherbourg - A Reel Education: The Musical! 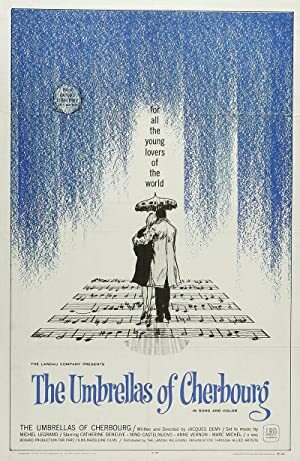 Citizens of Jazzhandia, this week we go international with guest Melissa Kaercher who shows us THE UMBRELLAS OF CHERBOURG (which neither Vinnie nor Windy had seen!). We actually recorded this the same night as THE LAST FIVE YEARS and it made for a surprisingly eloquent double feature about the relationships of youth, and the conflict between our dreams and our needs. The movie inspired much of the visual look of LA LA LAND, and wow – is it obvious! Much of our discussion focused on the visuals – hard to encapsulate in words – so we hope you’ll seek this out and take a look yourself. If only for THE WALLPAPERS. Plot: A young woman separated from her lover by war faces a life-altering decision.